The new General Data Protection Regulation (GDPR) entered into force from 25 May 2018. This is a European Union regulation which will constitute the reference text for the protection of your personal data. As Forumotion -our host- is a worldwide service, the protections offered to our European users will also apply to all other users around the world. 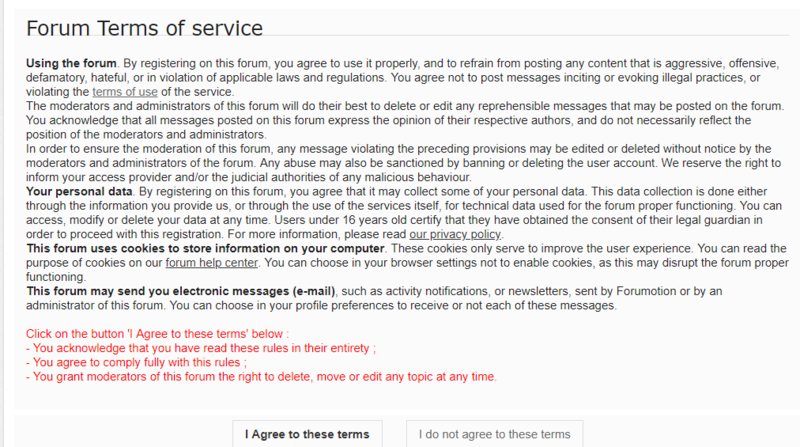 Users who registered in our forum before the arrival of this new regulation of course will have the same protection. For all new users, receiving the newsletters will need the acceptance of these emails by the user, upon registration. 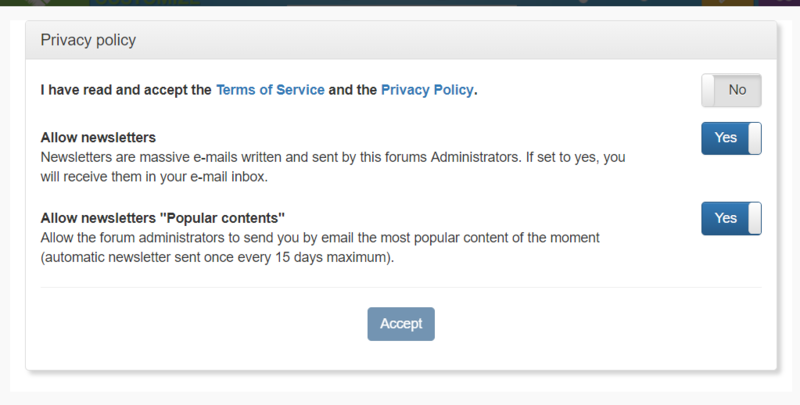 Only the users having deliberately chosen to receive the newsletters of the forum will receive these (this choice concerns indifferently the newsletter sent by the administrator of the forum and the "popular contents" newsletter). More specifically regarding "popular content" newsletters, any user already has the choice, in his profile preferences, to receive or not the "popular content" newsletters.